This 22×33.75mm. 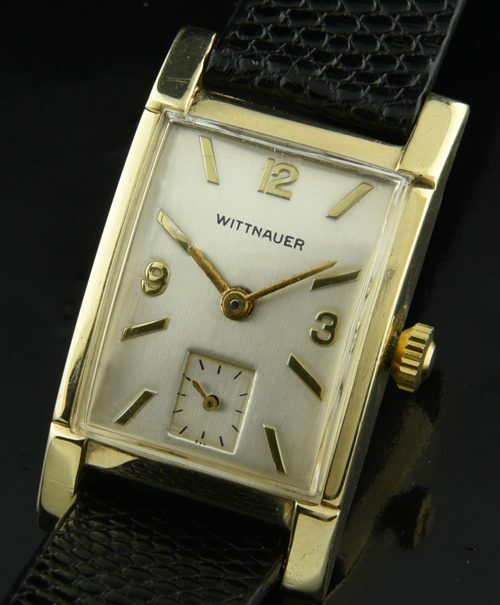 WITTNAUER dates to the 1950’s. This rectangular watch is 14k. solid gold displaying that cxlassic 1950’s vintage watch style. This watch’s manual winding WITTBNAUER (by LONGINES) manual winding movement was just cleaned and is working perfectly. The dial was restored at some time and retains the original gold Arabic and bar applied markers. 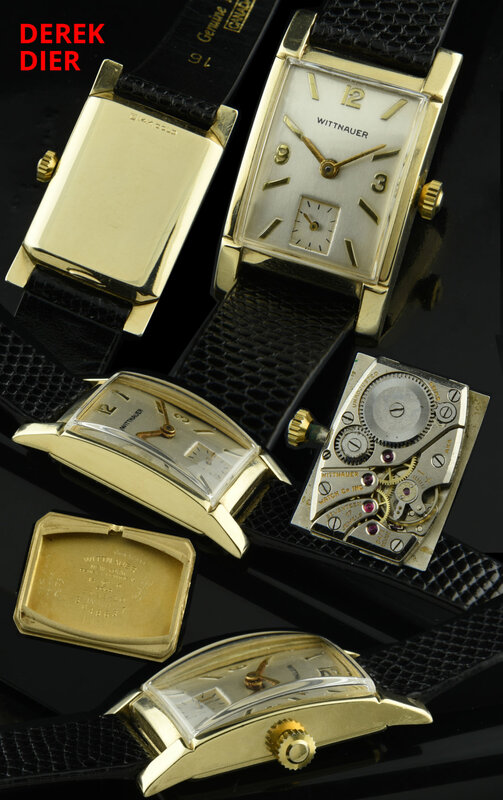 This is an ideal vintage watch for either a lady or gentleman. Just $695.